It's been just over 3 months since...I lost my ability to think clearly. Whatever it is, it's leaving me tired for at least half the day, forgetful (more than your average mommy brain), nauseous (at times) and unable to process life without help. It's vague and hard to articulate. And leaves me feeling "bad" most nights. So that's were I've been. I have so much in my brain I want to get out - so many ideas that would make great "blog entries", so much that I NEED to express because God made me a writer and dang it, sometimes I HAVE to just write....But they're stuck in a gridlock-type traffic jam in my tired mind. We'll see if I can get the traffic to clear up - it may even be therapeutic for me in this whole "what's going on in my body?" season. 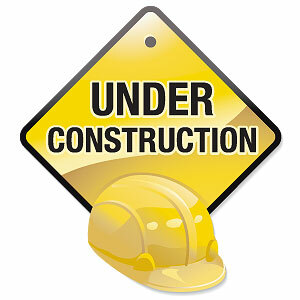 'Til then, let's just say that this blog and my life are Under Construction.